Life is a game. Football is serious. Bayern and Man City, Dortmund and Arsenal, Chelsea and Schalke find themselves in similar group as they were last season.Arsenal & Manchester City find themselves again in a tricky group.Hard to choose whether Group D or E is the group of death. These eight groups will certainly provide exciting matches.Time to gear up for Football crazy season. The group stage draws for the UEFA Champions League 2013/14 commencing on September 16, came out on Thursday at the draw event held in Monaco. Not disappointing the Football world the draw presented few tough groups. Group F can easily be tagged as ‘Group of death’ comprising of Borussia Dortmund (last year’s finalist) Arsenal, Marseille and Napoli. 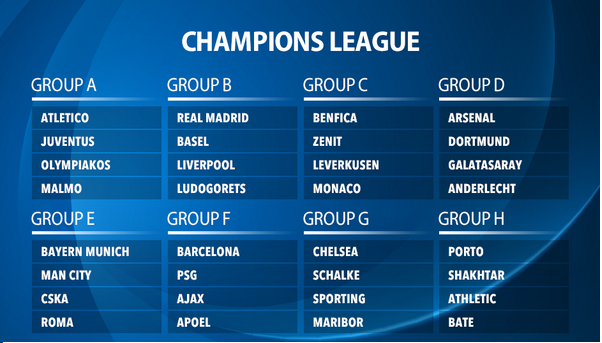 Group H is another tough group in the form of Barcelona, Ajax, AC Milan and Celtics FC comprising the group. Chelsea FC have been drawn with Schalke, FC Basel and Steaua Bucharest in Group E. Familiar names FC Basel and Steaua Bucharest were both beaten en route to Amsterdam in last season’s Europa League. Manchester United faces a competitive group whereas the last English team Manchester City face tough competition from European champions Bayerm Munich and CSKA Moscow. Champions League Final: An All-German Grudge ? 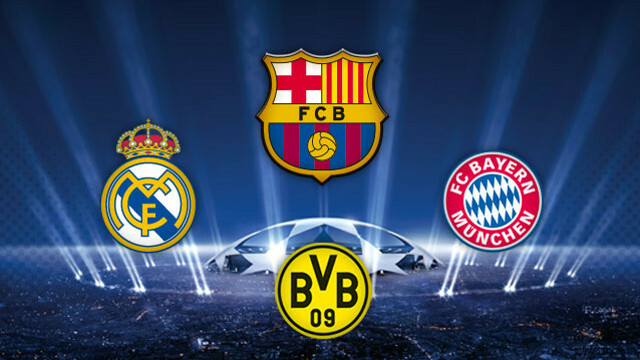 As we head towards couple of German-Spanish club semi finals where Bayern Munich (Last year’s finalist), which recently mantled a 23rd German title face favorites Barcelona and recently forced out Bundesliga champions Borussia Dortmund take on Real Madrid, the first leg matches to be played on April 23 and 24, with the return games on April 30 and May 1, Lets carve out some time to explore the prospect of an all-German European Champions League final next month on May 25 at Wembley stadium in London . 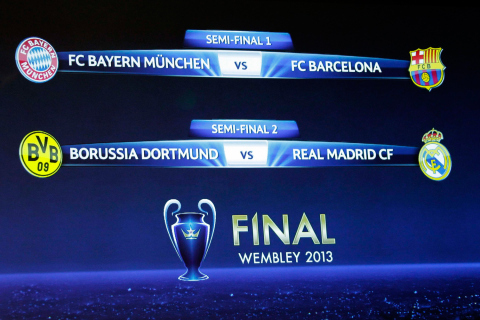 *The four semi finalists feature a total of 18 titles between them. 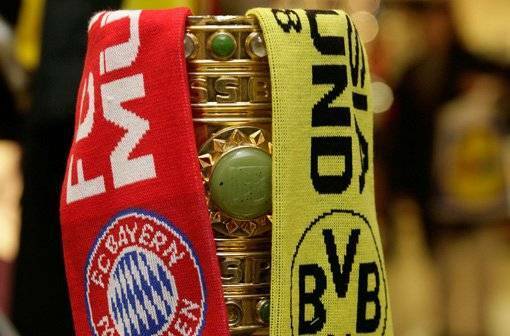 *Barcelona is seeking a third title in five years and Bayern their successive final. * Borussia Dortmund track for their first European Championship since 1997. Barcelona’s hard-fought quarter-final victory over Paris Saint Germain showed just how dependent they are on world footballer of the year Messi whilst Bayern’s every player on the roll, looks like is out to prove something every time he steps onto the pitch. German side Bayern Munich’s last year final appearance experience and desire to grab the slipped silverware makes them a top prospect for the finals. If they are to reach their third final in four years, Bayern will have to do so without the services of leading scorer Mandzukic, who is suspended for the first leg. Real Madrid the other Spanish opponent is doubtful to enjoy the thought of another trip to Dortmund in this season’s champion’s league. In the group stages German side topped the group demolishing Real 2-1 and later earned a 2-2 draw in Madrid. Real Madrid’s 3-2 away loss to Galatasary in the quarters is enough to set the alarm bells ringing. Not to forget Borussia Dortmund happen to be the only unbeaten side left in the competition.Real Madrid will need some all round performance from its squad apart from their talisman Cristiano Ronaldo to dispatch biter memory of last year’s semi final loss to yet another German side Bayern and get hold of European champion crown after almost a decade. An all German final would certainly point to a shift as to the top league in Europe dethroning Spain and England which has held the title for best leagues and teams. The mouth-watering prospect of a Bundesliga clash at Wembley keeps its hope high and lives on. Regardless of the final fixture, these are two tempting matches and will certainly, provide for absolute entertainment and offer exciting football. Videos and Pictures are provided and hosted from third party servers like Youtube, photobucket, dailymotion. Rottengambol.wordpress.com as a Blog does not host and is not responsible for this content.All videos and pictures are uploaded by football fans to video hosting sites like Youtube etc. I simply link all video content that is already hosted on these web sites. Rottengambol.wordpress.com is not responsible for the content of external websites. For any copyright issue contact the relevant website.